The Kendall County Health Department provides a wide array of services to protect and promote the public's health. 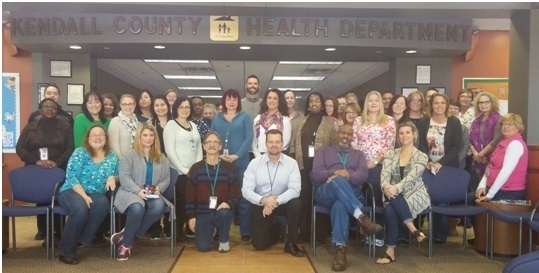 Established in 1966, the Health Department is an experienced human services and social well-being provider in Kendall County. Because of the unique structure of the Health Department, many services are available to community members. The mission of the Kendall County Health Department is to promote physical health, mental health, environmental health, protect the community’s health, prevent disease, and promote family economic self-sufficiency through both person based services and population based programs. In fulfilling this mission, KCHD will promote healthy people and healthy communities by: a) Encouraging a climate for healthy behaviors with emphasis on prevention, education, and public safety, b) Challenging the population to develop healthy attitudes about themselves and others to the end that each may be encouraged to be the guardians of good health, c) Collaborating with other health systems to identify health and human services and to develop or coordinate appropriate services to assure public safety and wellness, d) Acting as the “safety net” for all who may be unable to access health and human services, without fostering dependence on our systems of support, and e) Providing the leadership to manage and deliver health and services efficiently and cost effectively. The Kendall County Health Department offers a full range of health and human services for all ages. These services include blood pressure screening, energy assistance, home weatherization, immunization clinic, mental health treatment, nutritional education, parent education, self sufficiency supports, substance abuse treatment, tuberculosis testing, well testing, and eldercare wellness services. 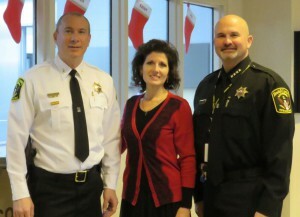 The Health Department also has strong community relationships (under the same roof of its own site) with the Court Appointed Special Advocates (for children and families), with the Child Advocacy Center, with the Veterans Assistance Commission, and with the Kane County Department of Education and Employment, as these meaningful services are critical to the well-being of many we serve. Cultural competence and stakeholder engagement are integrated into our community interaction processes and have a positive impact on our planning/services. With self-sufficiency as a constant goal, the Kendall County Health Department has both significant experience and an ideal service structure. This experience and structure are optimal for bringing individualized and robust supports around each and every individual/family we are privileged to serve. The Health Department is governed by a Board of Health as well as a Community Action Advisory Board, a Mental Health Advisory Board, an Environmental Advisory Committee, and a Community Health Advisory Committee. The Health Department serves the population of Kendall County.